Is your air conditioner not blowing cold air or just not seeming to keep your home cool enough on these hot Texas days? Cote’s Mechanical can help. We have proudly served the Denton area for over 10 years with our unsurpassed standards of excellence. Time and time again, our technicians have proven their value to families, homes, and businesses in and around Denton, Texas. The Cote’s Mechanical technicians in the Denton, Dallas, and Ft. Worth areas are NATE certified, highly-trained, and – most importantly – friendly folks that you won’t mind inviting into your home. We are trained and certified for A/C repairs on any make or model of air conditioning system. In addition, our team can provide ongoing maintenance to extend the life of your A/C system and keep it operating in an efficient manner. When it comes to air conditioner repairs, there is no job too big or too small for our experienced team. If you need repairs on your A/C unit, do not hesitate to contact Cote’s Mechanical. We will be happy to come diagnose the problem and recommend the best possible solution to help get your home cool and comfortable once again. When you need home A/C repairs, it’s important to work with a professional has experience working with all types of residential units. Home air conditioner repair is one of the things we do best. Is your air conditioner running poorly or not at all? Give us a call. We offer a free service call with any repair. After diagnosing the problem, we will get to repairing your system promptly. Your home is your oasis, and you and your family deserve to be cool and comfortable all summer long. Don’t waste another day with an air conditioner that isn’t performing up to your expectations. Not only is it annoying for you, but you could be putting added stress on your system and causing your utility bills to skyrocket. Contact Cote’s Mechanical today and let us get started on your repairs. We look forward to repairing your A/C system and getting it back to working order as soon as possible. We offer emergency A/C repair service to get your system up and running as soon as possible. 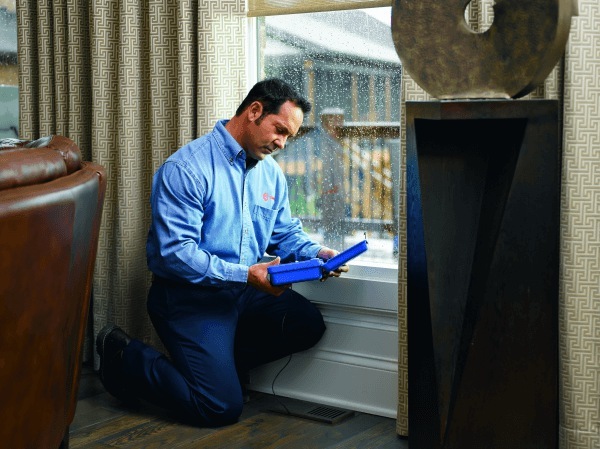 We know that in a hot Texas summer, you can’t wait until Monday at 9 a.m. for an HVAC professional to evaluate your unit and get started on the job. Our standard hours are Monday through Friday 8 to 5 and Saturday 8 to 1, but we do have 24/7 emergency service available when necessary to assure that you can stay comfortable and safe during the heat of summer. We know that A/C repair really can be an emergency, so we will do what we can to get your problem resolved as soon as possible by our knowledgeable, NATE certified experts. Experiencing problems with your air conditioner? Contact Cote’s Mechanical with your repair needs today. We look forward to working with you.